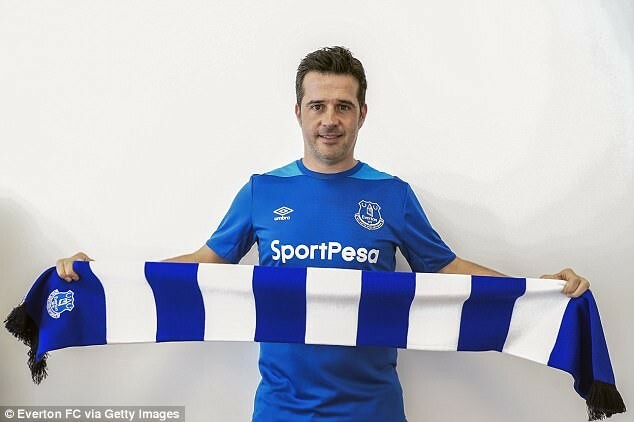 Everton confirms Marco Silva as new manager for the 2018-19 season – Royal Times of Nigeria. Everton has announced Marco Silva as the new manager for the 2018-19 season. The 40-year-old Portuguese coach was unveiled today following the departure of the club’s former manager Sam Allardyce. ‘I want to express my thanks to Farhad, to the chairman (Bill Kenwright), to the board of directors and to Marcel as well for the confidence in my work. I know the huge history of Everton as a club and what the fans expect. I’m sure with everybody working together I will be ready for this challenge. ‘We have a lot of work to do in this next month and it is important to prepare everything in the right way. But there will be even more important work to do from the start of pre-season into the first Premier League match of next season. ‘I know what our fans expect – they expect results but not only results. I want our fans to be proud when they see our team on the pitch. I want them to feel that we are committed, that we are working hard and enjoying our football because that is important as well. ‘We want to build a great connection between the squad and the fans, and I’m sure that with our attitude and demands of commitment then our style of play will see that, I believe. ‘Everton is a really ambitious club and that is what I want. What we are seeing now are good changes at the club. The club is changing its approach. But one thing we cannot change and nobody wants to change is the huge history and ambition of the club.